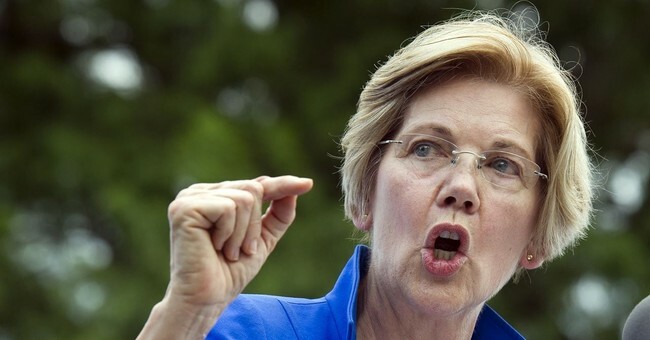 Sen. Elizabeth Warren (D-MA) has come under fire since she released her DNA results that "proved" she was Native American (as if 1/1,024th really counts). During a debate on Friday night, Warren made a rather interesting admission. She admitted that she's not part of any Native American tribe. Shocking, right? "I am not a citizen of any tribal nation," she said. "Only tribes determine tribal citizenship, it's not done by DNA." She also says that her "Native American heritage" didn't make a difference when she's been hired in the past. "The Boston Globe has done an extensive analysis and come up with the fact that nothing in my background ever made any difference in my hiring," Warren said. If her Native American background – if you can even call it that – made no difference, why did she do everything in her power to make a big deal out of it? Why did she go to great lengths to benefit from it politically? Simple. She's lying. And she wanted to gain cheap political points. She did, for a bit, but now she's facing the repercussions. Interestingly enough, Warren says she's "an open book." If that were the case, she wouldn't have waited this long to take a DNA test. She would have taken one when President Trump called her out on her shenanigans and pandering to minorities.